H+H Darbyshire for the last few days, good stuff! I have been hooked on the H&H El Nino. 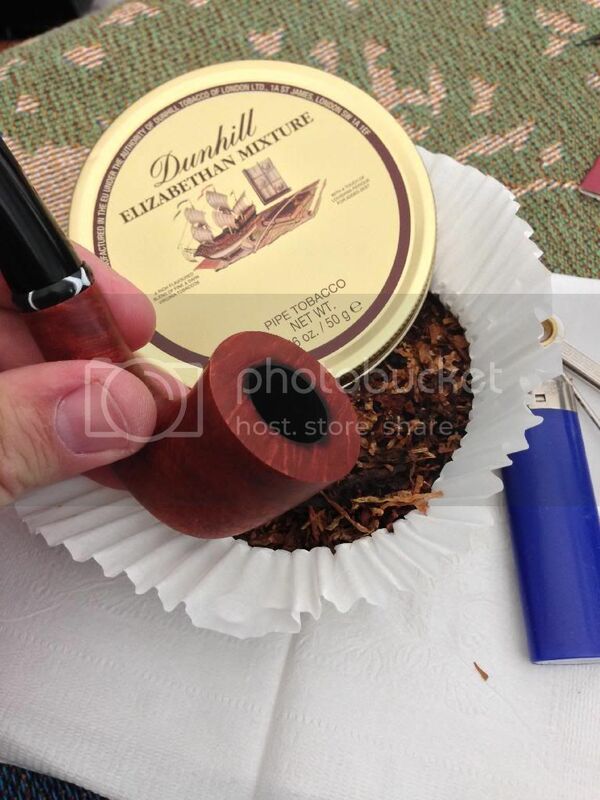 More H&H El Nino in the pipe I made, and some Middleton Sugar Barrel in a Pony Express cob. What's in the El Niño Wayne? Some GLP Robusto to provide some cheer while spending the holidays with the in laws. Picked up a pouch of Mixture 79 to see what all the fuss is about. 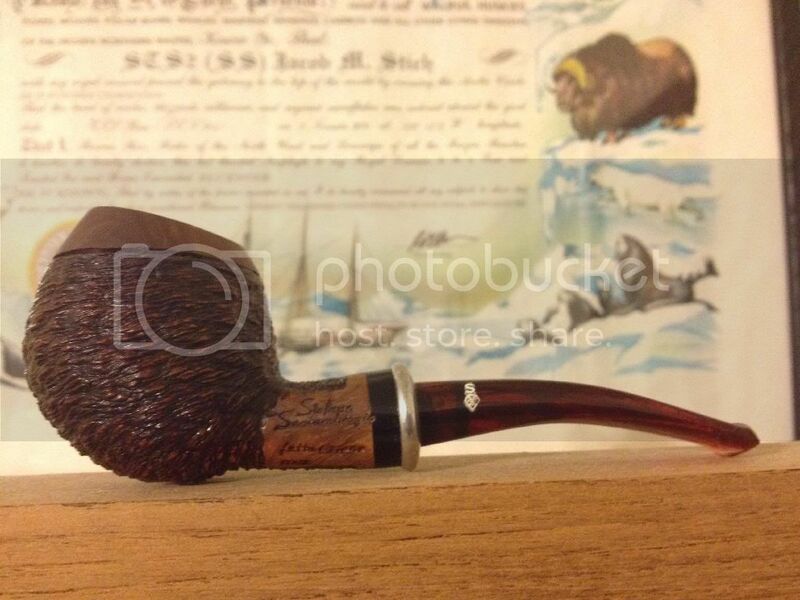 Had a bowl of Peter Stokkebye Luxury Navy Flake last night. Nice! Buddy of mine in NJ, sent me this. Golden Dream custom blend, great with a cup of coffee to start my day! 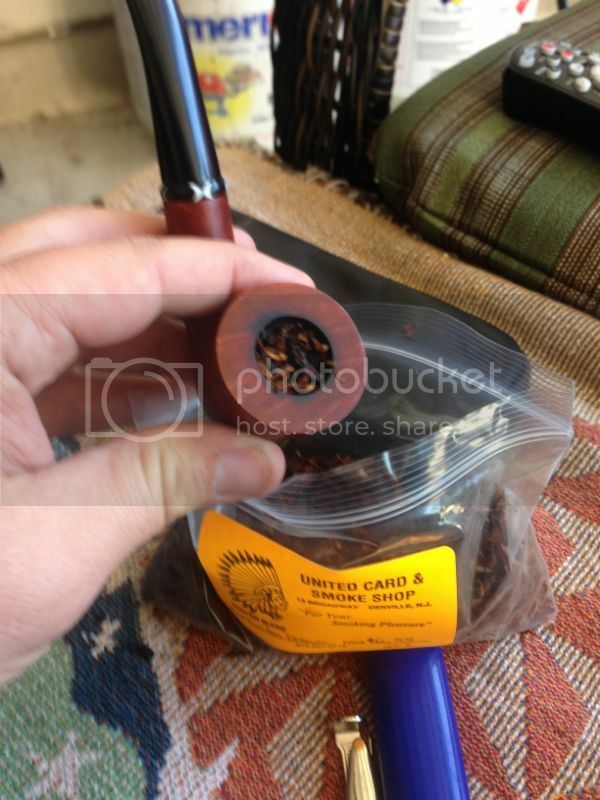 Really enjoying this pipe so far. More of this today as well. Good stuff. Do you know how the navy rolls compare Brandon? C&D Burley Flake #3. Some of the strongest and nuanced tobacco I have smoked. It's the only tobacco (cigar included) that will give me the spins if I don't take it slow.